A NUMBER of Ivybridge and Plymouth-based players impressed for Devon Under-20s in their friendly against Cornwall at Launceston on Sunday. Although Devon lost 33-19, the visitors dominated large spells of the game, with their pack particularly impressing. Ivybridge RFC provide seven of Devon’s squad, including Damon Akerman and Mitch Pinkus, who were both on the scoresheet. Plymouth University had four players in the county team, while Devonport Services’ Devon Brown also featured. Devon scored three tries in total, with Akerman getting their first, they were then awarded a penalty try before Adam Howell went over. The Green and Whites were also held up over the line twice. Cornwall, with Plymouth Albion’s Matt Shepherd on their coaching staff, scored five tries, with two of those coming in a crucial third quarter for the home team. Both counties took positives out of the match as they start their preparations for their respective county championship campaigns in February. Cornwall are in the cup competition, while Devon will play in the County Shield. Ivybridge player-coach Lewis Paterson is on the Devon under-20 coaching staff and he was pleased with what he saw. “There was so much positivity there and such great foundations for us to build on,” said Paterson. “We were incredibly impressed after one training session and one game. There were a few defensive errors, but, looking forward we could not be more positive. “Take nothing away from Cornwall, but if you look at territory and possession we were very dominant. It was just a few defensive hiccups and when Cornwall got the ball they capitalised. That was the difference – they finished their scores off. 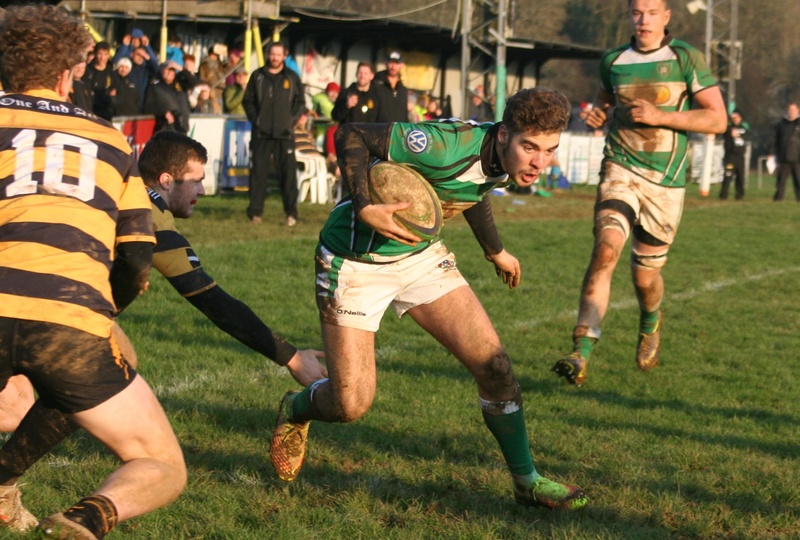 Devon Under-20 squad: Sam Cook (Cullompton), Sean Harrison (Withycombe), Jake Prophettoneiu (Exmouth), Connor Banks (Ivybridge), Aiden Taylor (Exmouth), Ben Logan (Honiton), Devon Brown (Devonport Services), Max Coles (Ivybridge), Mitch Pinkus (Ivybridge), Jordan Smith-Cronin (Ivybridge), Adam Walker (Ivybridge), Lewis Barnaby (Ivybridge), Damon Akerman (Ivybridge), Martin Carrick (Newton Abbot), Ben Morris (Plymouth University), James Lautch (Plymouth University), Red Blaylock (Plymouth University), Jordan Watson (Brixham), Robin Luscombe (Kingsbridge), Joe Butler (Tiverton), Tom Arnold (Plymouth University), Adam Howell (Cardiff University).